Our three-day induction camp takes place during your first week of University and is a great introduction to the outdoor programme. You will take part in a range of outdoor activities and skills sessions while staying in tents at a local Scout camp. As well as host of organised activities, you will also have chance to socialise with students on the course, and with the outdoor teaching team, preparing you for your first week of academic work. Designed to provide advanced training in rock climbing, this trip to Snowdonia will introduce you to multi-pitch climbing techniques in mountainous and sea cliff environments, giving you the opportunity to develop skills in client management necessary for the Mountain Training (MT) and Mountain Instructor Award (MIA). 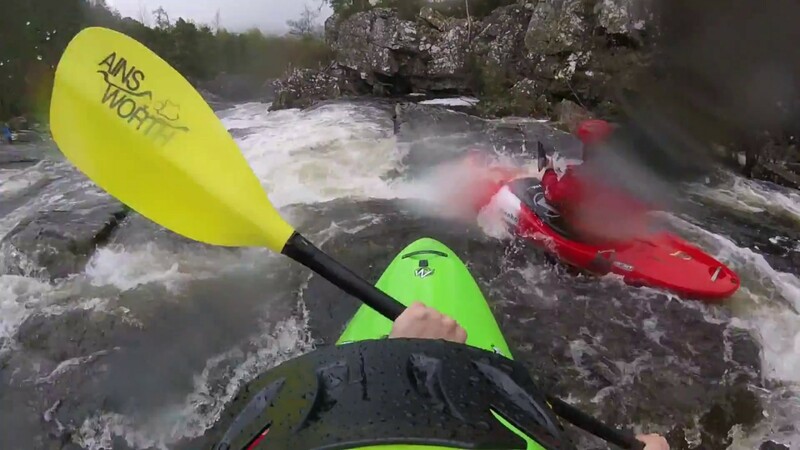 During your kayaking trip to Scotland, you will develop advanced white water skills on sections of Grade 4 rivers. In addition to personal skills, the trip will focus on leadership techniques that are part of the British Canoeing (BC) White Water and Advanced White Water Leader Awards. Using specialist laboratories, students have measured how the body reacts to extreme environmental conditions. Students had access to an environmental chamber which can simulate temperatures of up to 40oC and down to -20oC. A separate altitude/hypoxia chamber also allowed them to manipulate oxygen levels in the environment from 21% (0m/sea level) to 7% oxygen (8,000m/sea level). During your second year, you may choose to develop your personal kayaking and leadership skills on the rivers of North Wales. Students have spent time on the River Dee at Llangollen, the National White Water Centre at the Tryweryn, River Llugwy, River Conwy and more. During your first year you will spend two quality days walking in Snowdonia, practising navigation and other skills that are required for the Mountain Training (MT) Mountain Leader (ML) qualification. During your second year, you will have the choice to canoe from Fort William to Inverness, wild camp and develop open water skills as you paddle the length of Loch Ness. During your second year, you may choose to spend a week exploring the 7stanes trails in southern Scotland. These purpose built trails feature a range of technical features which you can spend time working on and developing your personal skills. In your final year, you have the opportunity to plan an adventurous journey in Scotland. The focus of the journey is more about the psychological and emotional experience of undertaking the trip, rather than the physical challenge. Students have previously planned trips which included: a three-day walk to the remotest pub in the UK, staying in bothies, canoeing along Scottish Lochs, wild camping and an exploration of the remote Isle of Rum. Develop your lead climbing skills during your second year, and spend time climbing the sea cliffs of Pembrokeshire. During your second year, students have chosen to spend a week exploring the caves of Yorkshire, developing their Single Rope Technique (SRT) skills further. You may have the opportunity to experience technical sport climbing in Yorkshire during your second year of study. At the end of your first year, you will spend a week camping in the Lake District. During the trip you will undertake a two-day expedition, climbing Scafell Pike and wild camping overnight. On the rest of the trip you will take part in practical sessions focusing on how to deliver activities. These include canoeing, climbing, gorge walking and nature connectedness. You may have the chance to undertake a three-day bushcraft camp as part of your second year studies, developing an understanding of the flora that can be used for fire, shelter and food. You will construct your own shelters, start your own fires, prepare your own meals using wild game, and learn how to deliver these skills as a bushcraft practitioner. These trips are optional and you would need to self-fund to cover the costs. 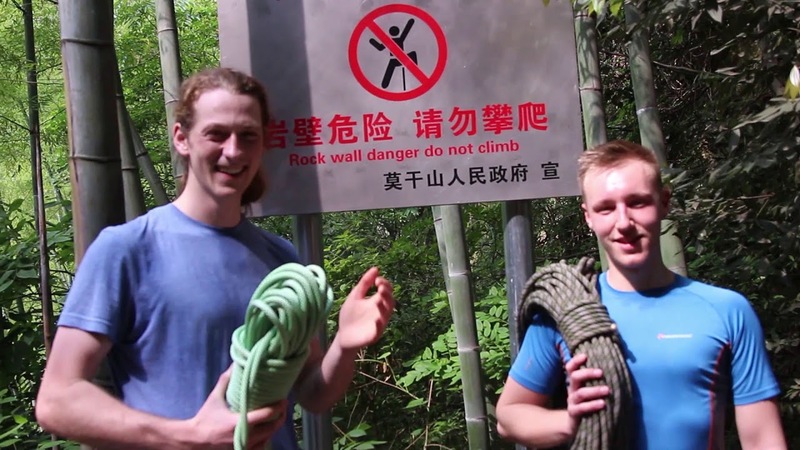 Previous students have undertaken paid work placements in Mogan Shan, China. The four-week paid placement was an opportunity for students to deliver outdoor sessions to local schools and the general public in gorge walking, hiking, paddle boarding, mountain biking, skateboarding and abseiling. As part of this, students gained experience designing itineraries and risk assessments for each activity, and contributed to conservation projects. Chamonix in the French Alps was the base for this nine-day Alpine Training course with Mountain Guide, Phil Dowthwaite. Students summited several peaks, climbed a selection of mixed alpine routes and developed their skills on glacial traversing. Rjukan is one of the premier ice climbing destinations in the world. During the nine-day trip, students stayed in a log cabin and ventured out to a variety of steep cascade ice climbing locations. Mountain Guide, Phil Dowthwaite, and GB Ice Climbing Team Coach, Andy Turner, used their extensive knowledge to develop our students’ personal skills within ice climbing. During an eight-day fast-track coaching programme on the Greek island of Kalymnos, focused on enhancing personal climbing abilities and technical skills, students had the opportunity to climb sport routes ranging from F4 to F8a. This premier climbing location provided students with the perfect combination of world class rock, beaches, and food and drink. Mount Toubkal is the highest mountain in North Africa, and the trek up it is the focus of our trip to Morrocco. In addition to the physical challenge, you will get to experience a fantastic culture, and learn leadership skills that will be valuable for future work as an Overseas Expedition Leader. During your degree, you will have the opportunity to go kayaking on the crystal clear waters of the River Soca in Slovenia. The river includes easy grade 2 sections and technical grade 4 rapids, so whether you want to perfect your basic river running skills or practice leading others down technical water, this trip allows you to do both. 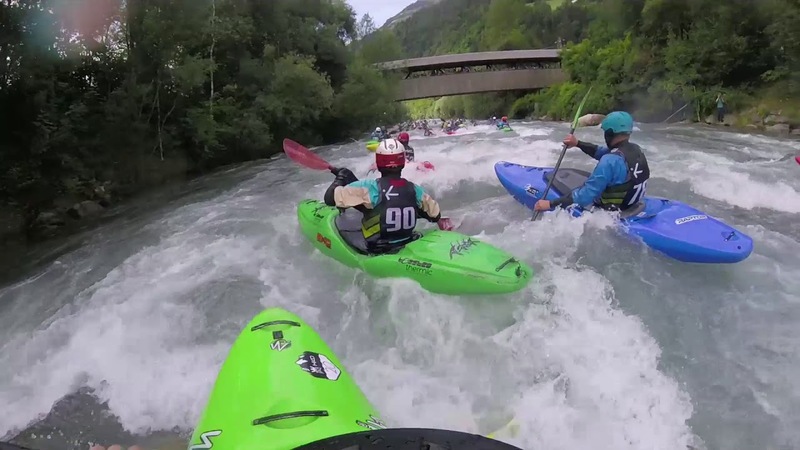 After a week in Slovenia we travel to Italy for the King of the Alps Extreme White Water race, where students have the opportunity to race down grade 4 rapids against some of the best kayakers in the world. Our single day trips include practical sessions, field work and laboratory work. During your first year, you will visit the crumbling landscape of Mam Tor and the limestone valleys of Castleton to examine landscape formations and human impacts. In your second year, you have the opportunity to participate in the training provided by an ecology consultancy and undertake a Phase 1 Habitat Survey of a local area. As a third year student you will participate in small scale environmental research projects including cave ecology, upland vegetation, and wildlife behaviour. In your first year you will complete a range of practical lab-based activities in our physiology labs based at our Kedleston Road Campus in Derby. The purpose of these sessions is to understand the body’s responses to exercise. This is built upon in your second year with a mixture of lab-based and field-based practicals examining responses to extreme environmental stressors, such as hypoxia (altitude), hyperbaria (diving), heat, and cold. In your third year, environmental and exercise stressors are combined to develop an applied (real world) perspective of adventure sport physiology. During your first year you will go canoeing and kayaking at Combs Reservoir, and on the rivers of the Peak District. You may choose to develop your skills further in your second year, focusing on personal solo canoe skills, white water kayaking and a range of instructional and leadership approaches to paddlesport. During your paddlesport practicals you will have the opportunity to gain British Canoeing (BC) personal performance awards. During your first year, you will develop personal climbing skills, ropework and coaching techniques in the crags of the Peak District or the world-class indoor climbing centres that surround the local area. During your first year, you will have the opportunity to go caving in the caves and mines hidden within the Peak District. You may choose to develop your skills further in your second year, focusing on Single Rope Technique (SRT). You will learn how to descend and ascend in vertical caves, how to rig the rope systems, and the rescue techniques required for the Local Cave & Mine Leaders Award (LCMLA). During your second year, you will have the opportunity to specialise in mountain biking as one of your practical activities. Sessions focus on skill development and coaching practice which are required for various British Cycling coaching and leadership awards. Goyt Valley, Derwent Reservoir, Cannock Chase Trail Centre and Parkwood Springs Dual Slalom are just some of the locations where you will practice your mountain biking skills. During your first year, you will spend time practicing your navigation skills and group management on the fantastic hills and moorland of the Peak District including Kinder Scout, Mam Tor and Goyt Valley. These skills are required for the Mountain Training (MT) Lowland Leader and Mountain Leader Awards.